Pendulum Scale 7 When a monster is destroyed by battle: You can Special Summon 1 Normal Monster from your hand. You can only use this effect of "Sea Dragoons of Draconia" once per turn. Silently creep.. If you control 2 or more "Performapal" cards, you can Normal Summon this card without Tributing. Cannot attack unless you control another "Performapal" card. When this card declares an attack: You can..
You can Tribute 1 "Performapal" monster; inflict damage to your opponent equal to the Level it had on the field x 100 (original Level, if face-down). You can Tribute 1 "Performapal" monster, then targ..
Pendulum Scale 6 If you have a "Performapal" card in your other Pendulum Zone, except "Performapal Lizardraw": You can destroy this card, and if you do, draw 1 card. You can only use this effect of "P..
You can banish this card from your Graveyard, then target 2 cards among the Pendulum Monsters you control and/or the "Magician" and "Performapal" cards in your Pendulum Zone; return both to the hand. .. When this card is Normal Summoned: You can send 1 "Fluffal" monster from your hand to the Graveyard; draw 2 cards, then place 1 card from your hand on either the top or bottom of your Deck. You can on..
You can send 1 "Edge Imp" monster from your hand to the Graveyard; inflict 800 damage to your opponent. You can send 1 "Edge Imp" monster from your Deck to the Graveyard, except "Edge Imp Tomahawk"; t..
(This card is always treated as a "Frightfur" card.) You can target 1 "Frightfur" Fusion Monster you control or in your Graveyard; this card's ATK and DEF each become equal to the original ATK and DEF..
Once per turn, during your Main Phase, if this card was Normal or Special Summoned this turn: You can target 1 face-up Attack Position monster on the field; change it to face-up Defense Position. Duri..
Once per turn, during your Main Phase, if this card was Normal or Special Summoned this turn: You can increase the Levels of all "Raidraptor" monsters you currently control by 1. During your Main Phas..
You can Tribute this card, then target 1 "Yosen Training Grounds" you control; place 3 Yosen Counters on it. You can only use this effect of "Yosenju Kodam" once per turn. You can banish this card fro.. When an opponent's monster declares a direct attack: You can send 1 "Yosenju" monster from your hand to the Graveyard, except "Yosenju Oyam"; Special Summon this card from your hand. You can only use ..
Pendulum Scale 1 You cannot Pendulum Summon monsters, except "tellarknight" and "Zefra" monsters. This effect cannot be negated. If this card is Normal, Flip, or Pendulum Summoned: You can target 1 ot..
Pendulum Scale 7 You cannot Pendulum Summon monsters, except "tellarknight" and "Zefra" monsters. This effect cannot be negated. If this card is Normal, Flip, or Pendulum Summoned: You can target 1 ot..
Pendulum Scale 1 You cannot Pendulum Summon monsters, except "Shaddoll" and "Zefra" monsters. This effect cannot be negated. If this card is Pendulum Summoned or sent to the Graveyard: You can target ..
Pendulum Scale 7 You cannot Pendulum Summon monsters, except "Shaddoll" and "Zefra" monsters. This effect cannot be negated. If this card is Pendulum Summoned or sent to the Graveyard: You can target ..
Pendulum Scale 1 You cannot Pendulum Summon monsters, except "Yang Zing" and "Zefra" monsters. This effect cannot be negated. If this card is Pendulum Summoned, or Special Summoned from the Main Deck:..
Pendulum Scale 7 You cannot Pendulum Summon monsters, except "Yang Zing" and "Zefra" monsters. This effect cannot be negated. 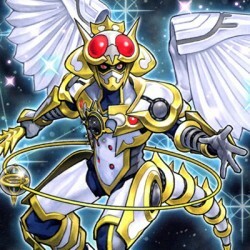 When this card is Pendulum Summoned, or when this card is destroyed by bat..
Pendulum Scale 1 You cannot Pendulum Summon monsters, except "Nekroz" and "Zefra" monsters. This effect cannot be negated. You can Tribute this card from your hand or face-up from your side of the fie..
Pendulum Scale 7 You cannot Pendulum Summon monsters, except "Nekroz" and "Zefra" monsters. This effect cannot be negated. While this card is in your hand or Graveyard, if a face-up "Nekroz" or "Zefra..